The sausage sauce is a classic peasant recipe. It is prepared with some variations, in many parts of Italy. As I said, there are many versions: with peppers, or mushrooms, or simply tossed with pasta and a few tablespoon of whipping cream! Today I decided to combine this tasty sauce with a simple tomato puree, used to be presented frequently at my family’s table. The preparation is not difficult, but requires a few precautions. The sausages must be cooked until golden brown, then being dipped into the tomato puree. After that, is mandatory to proceed with a very slow cooking until the meat is extremely soft. 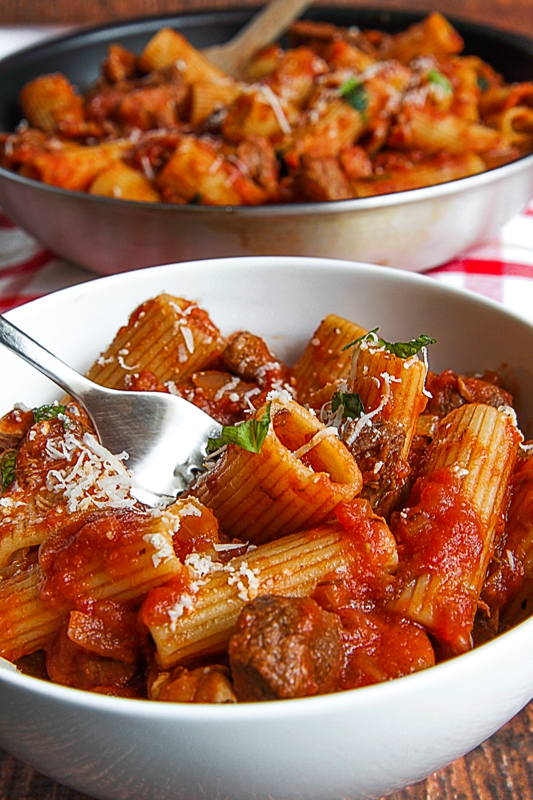 The best way to taste the sausage sauce is with a kind of pasta of your choice, in particular fresh pasta, rigatoni or shells. Pulled Pork is one of my favorite American recipes! The meat cooked for hours at low temperature is tender and creamy, its flavor is intense and fragrant and it is really easy to do: it is a perfect dish for a party with friends in the winter nights! Today, I propose an Italian way to prepare the Pulled Pork: braised in red wine with juniper berries, mixed peppercorns and fresh rosemary. To recall even more Italian descent, I suggest to replace the classic bun with a creamy Polenta flavored with Parmigiano Reggiano cheese and white pepper: it’s so tasty! 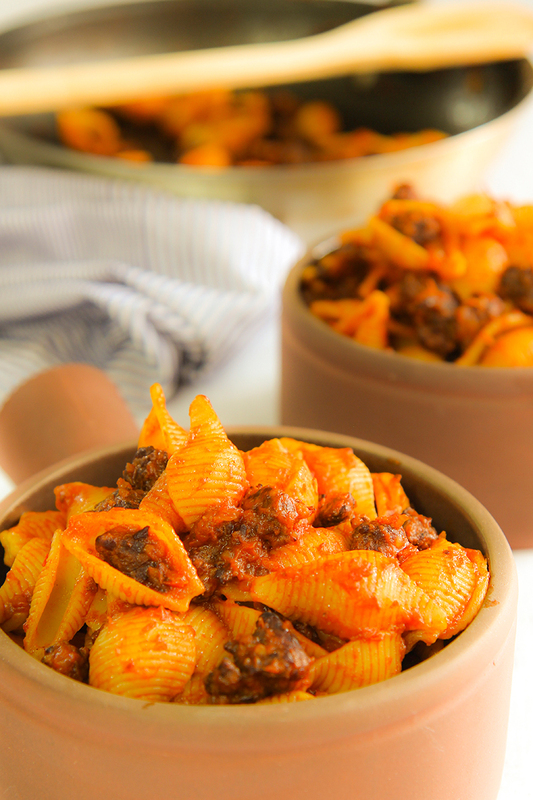 The “Ragù Barese” (Apulian meat sauce) is a Southern-Italian typical pasta dressing full of history and tradition. Even though it has improve some changes over the centuries, has maintained an intense and antique flavor. A few weeks ago I ate this dish at Enzo’s caffè in Portland and loved it: For a few minutes I felt myself in Italy, so much that along Alberta Street looked like there were appear olive trees! 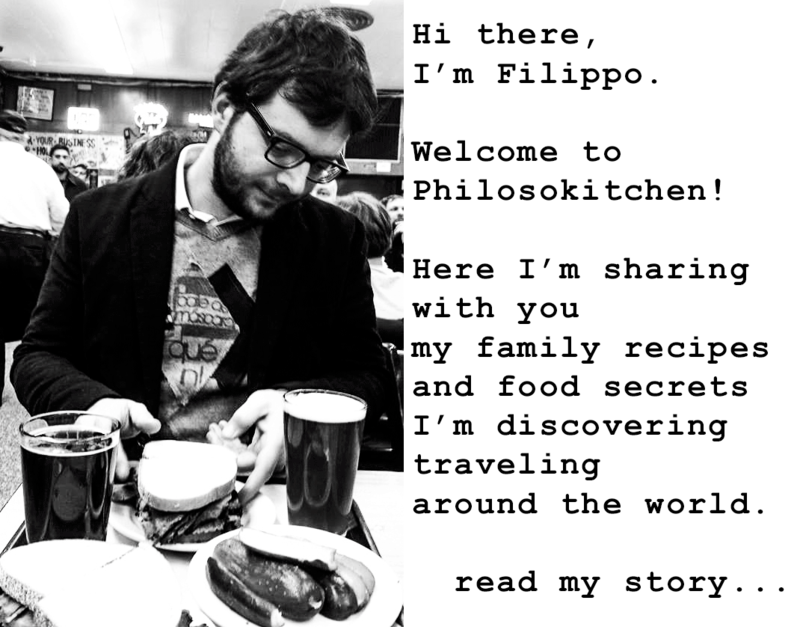 I’m writing here the recipe, so that a little ‘olive trees can grow in your kitchen! As with “Bolognese sauce” or” Neapolitan Genovese”, the secret to this recipe is a long cooking at a low temperature. In Italy we use a traditional crock pot, left on the stove for many hours. 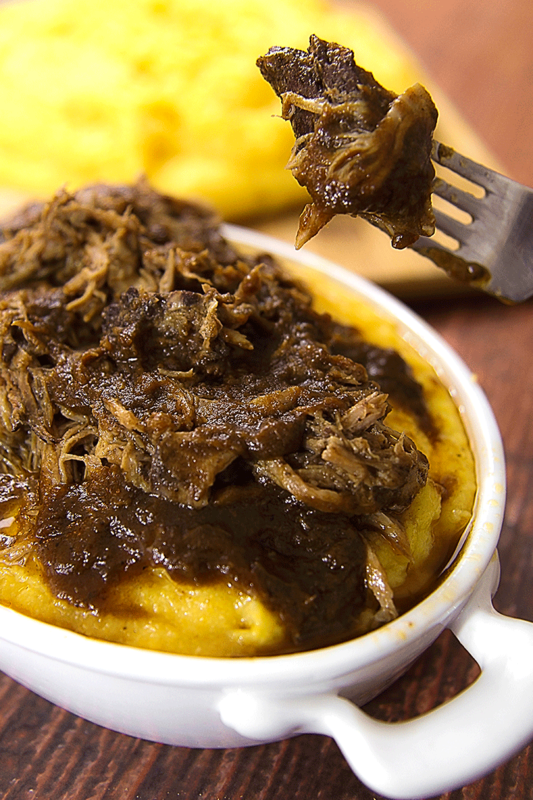 Here in America I tried to make the sauce with my slow-cooker and the result was perfect!